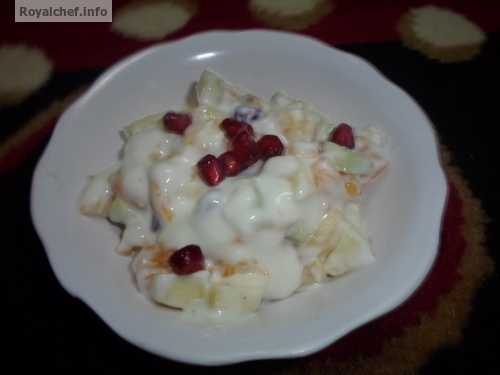 This is a Recipe for Strained Yogurt Fruit Salad or Indian style Malai Chakka Fruit Salad. Also given below is the recipe in the Marathi language. 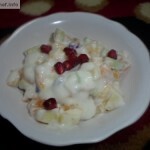 This Salad can also be served as a Dessert after the main course. Mix all Fruits, powdered Sugar, Cream, Vanilla Essence and mix it well and keep it in the Refrigerator for two-three hours. 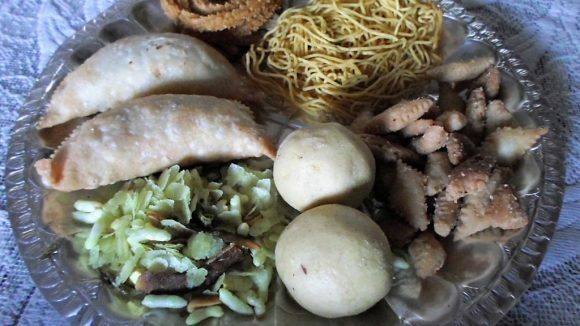 कृती : सर्व फळांचे तुकडे, पिठीसाखर, चक्का व व्हानीला इसेन्स घालून मिक्स करा व फ्रीजमध्ये थंड करून मग सर्व्ह करा.